The United States Army Research Laboratory (ARL) and the United Kingdom’s Defence Science and Technology Laboratory (DSTL) maintain a strong international partnership which fosters research collaborations between the two countries. Two major materials programs focused on defense applications are the Materials in Extreme Dynamic Environments (MEDE) funded by the ARL, and the Materials for Strategic Advantage (MSA) funded by DSTL. The Center for Materials in Extreme Dynamic Environments is pleased to announce the MEDE – MSA research fellowship. This fellowship is only open to graduate students or postdocs funded on MEDE whose principal faculty advisor is a current MEDE principal investigator (PI). This research fellowship will enable current MEDE graduate students or postdocs the opportunity to participate in research activities at a MSA funded university in the United Kingdom. The fellowship will provide $6,000 (US) to support travel, housing and incidental costs. It is expected that the fellowship will be approximately eight weeks in duration, mostly likely during the summer months in 2019. 7. Personal statement on how this fellowship will benefit and broaden their research. Application materials should be sent as a single pdf file to Dr. Victor Nakano (vnakano@jhu.edu). The deadline to submit the application materials is April 12, 2019. The selected applicant will be expected to present a poster of their experience at the 2019 MEDE Fall Meeting and/or appropriate CMRG meeting. If selected, it is the applicant’s responsibility to coordinate travel and lodging with host MSA PI. Funding for this fellowship will be subawarded to the applicant’s home MEDE university, under the applicant’s MEDE PI. The funding covers travel, housing and incidentals. Graduate student stipend or postdoc salary will be supported by the MEDE PI on their respective task budget. We are pleased to release the CMEDE Highlights for 2018. This issue illustrates the unique aspects of our activities, recaps some of our significant events, and showcases a small sampling of the programs and people within each of our materials research groups (ceramics, composites, and metals). 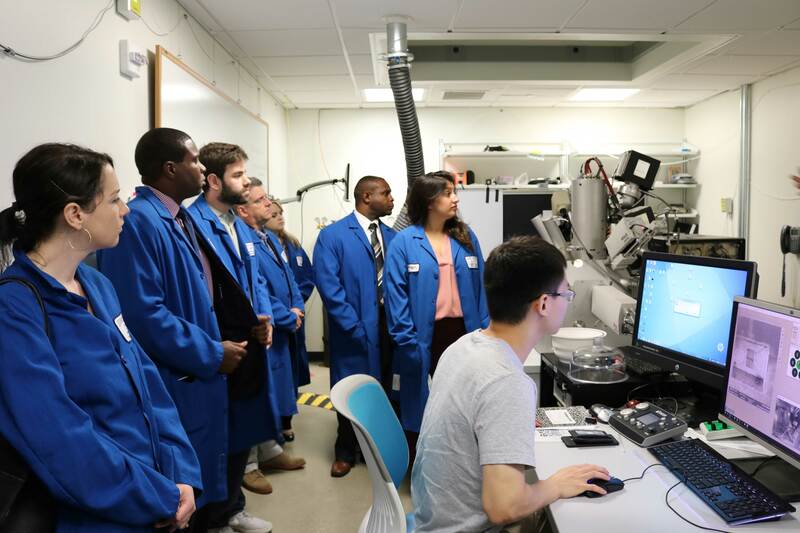 We are excited to share these accomplishments with you, as they have broad and deep impacts on our scientific and technological capabilities and allow us to developing a new workforce educated in the up-and-coming possibilities of materials-by-design. We are positive that the advances we are making in the science and the workforce will have great impact on the protection of our military personnel and vehicles. We encourage you to take a peek and learn more about CMEDE! 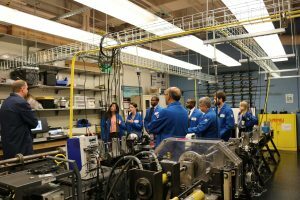 For the third year in a row, the Materials in Extreme Dynamic Environments Collaborative Research Alliance (MEDE CRA) has been awarded Undergraduate Research Apprenticeship Program (URAP) internships. 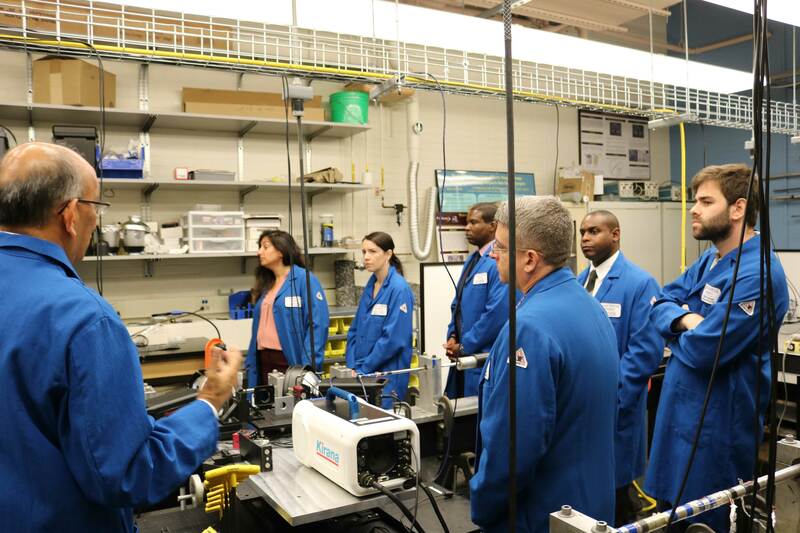 URAP internships are sponsored by the Army Research Office and is a part of the Army Educational Outreach Program (AEOP). URAP will provide eligible students an opportunity to participate in a paid research internship. The stipend is $15/hour for up to 300 hours. The internships will be held during the summer of 2019 and under the guidance of a MEDE principal investigator (PI). 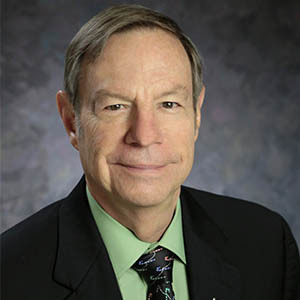 The National Academies of Sciences, Engineering, and Medicine recently published a workshop report which included the scientific and materials-by-design approaches of the MEDE program. Hosted by the National Materials and Manufacturing Board of the National Academies of Sciences, Engineering, and Medicine in December 2014, the public workshop discussed future advances in weight reduction by materials substitution for vehicles, including such topics as armor, structure, automotive parts, and armaments. Participants included members of military research laboratories and researchers from industry and academia. CMEDE Director, Prof. KT Ramesh provided a presentation titled, “The Science of Materials in Extreme Dynamic Environments” which highlighted the key research activities of modeling and simulation, bridging the scales, advanced experimental techniques, multiscale material metrics and characterization, and processing and synthesis. The MEDE objective, Ramesh noted, is to establish the capability to design materials for use in specific dynamic environments. This includes developing fundamental understanding in multiscale materials and ultra-high loading rate environments, executing a basic research program, and enhancing and fostering cross-disciplinary and cross-organizational collaboration. 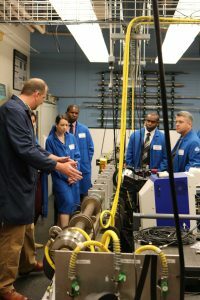 These activities are enabled through the MEDE consortium which is composed of 18 university/research partners working in close coordination with the Army Research Laboratory. We are pleased to welcome Professor Martin Harmer, the Alcoa Foundation Distinguished Professor of Material Science and Engineering and Dr. Chris Marvel, postdoctoral research associate from Lehigh University to the MEDE CRA. 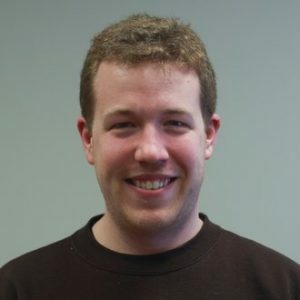 The title of their research activity is: “Atomic-Resolution Characterization of Boron Icosahedra Ceramics,” and will involve scanning transmission electron microscopy imaging and chemical analysis techniques to compare structure and chemistry of different processed boron-rich ceramics. These activities will be integrated into the synthesis and processing supertask within the Ceramics CMRG. 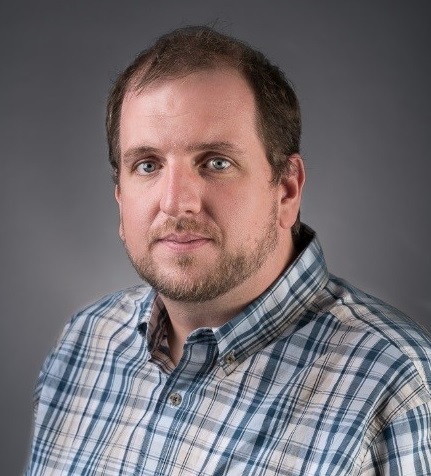 Congratulations to Jason Parker, a PhD candidate in the Department of Mechanical Engineering, who is one of this year’s recipient of the American Society for Composites (ASC) PhD Scholarship! 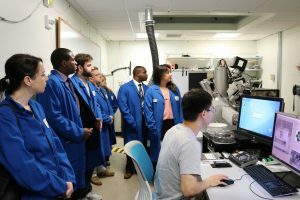 First awarded in 2000, the annual graduate student research scholarship grant program was created for formally enrolled Ph.D. students in engineering or science whose dissertation research is focused on some aspect of composite materials. Up to four awards will be given, each consisting of two parts – one portion to support the student’s research and the other to register and attend the ASC Technical Conference. Parker accepted his award at the ASC banquet on September 25, 2018 at the ASC Technical Conference in Seattle, Washington. Members of the Center for Materials in Extreme Dynamic Environments are showcased within the new introductory video for the Hopkins Extreme Materials Institute. Dr. John Beatty (U.S. Army Research Laboratory), Dr. Cyril Williams (U.S. Army Research Laboratory), Prof. Justin Wilkerson (Texas A&M University), and graduate student Jocelyn Chu (Purdue University) help explain the MEDE program, the research that occurs within the Collaborative Material Research Groups, and the program’s goals. 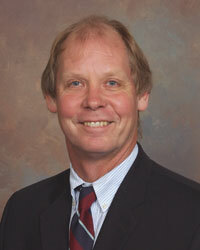 We are pleased to announce the addition of Dr. Charles E. Anderson, Jr. to the MEDE Science Advisory Board. 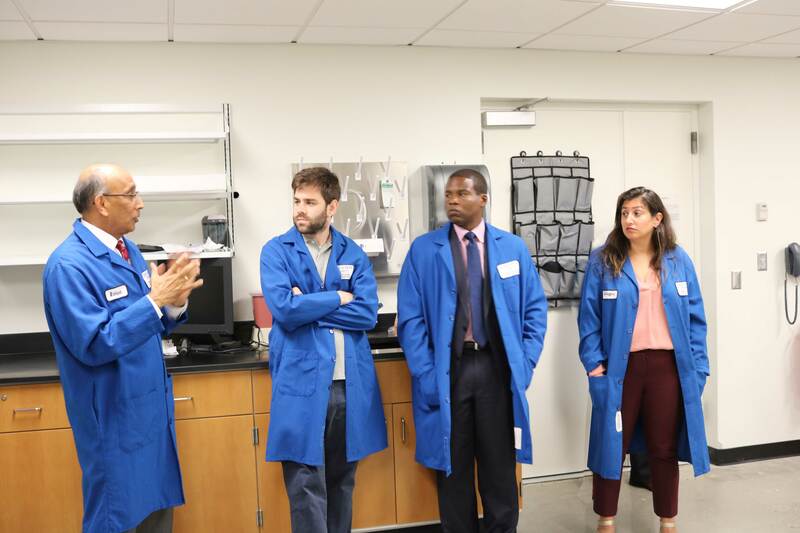 The MEDE Science Advisory Board provides important scientific insight, oversight, and expertise to the MEDE program and compliments the Army Research Laboratory’s Science Advisory Board. To view current members, click here. 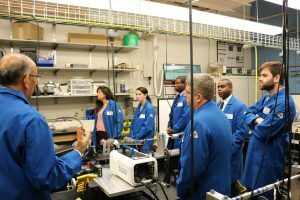 On Monday, July 30th, Maryland Congressional Defense Legislative Staffers representing the offices of Senator Ben Cardin, Senator Van Hollen, Congressman Ruppersberger, Congressman Sarbanes, and Congressman Hoyer visited HEMI to learn more about our CMEDE-related activities and to view our laboratories. The Center for Materials in Extreme Dynamic Environments is a multi-institutional collaborative research center located within the Hopkins Extreme Materials Institute at Johns Hopkins University. The Center brings together academia, government, and industry to advance the state of the art for materials in extreme dynamic environments. The Materials in Extreme Dynamic Environments (MEDE) program is investigating three material systems which have significant potential for improving protection performance. 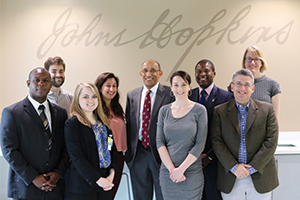 Johns Hopkins University leads the MEDE Collaborative Research Alliance which includes partners across 10 states, the United Kingdom, and Germany. These partners, in close collaboration with the Army Research Laboratory, are leading the development of a materials-by-design capability integrating state-of-the-art experiments, advanced computational models, and synthesis and processing.